Welcome to March! This month has been extremely busy at the Lessonly offices finishing up several new features. There’s a lot to share, so let’s dive right in. Check out our launch video below, and read on for more. Events features in Lessonly help track training actions that happen outside of Lessonly, making Lessonly a hub for all digital and offline training. 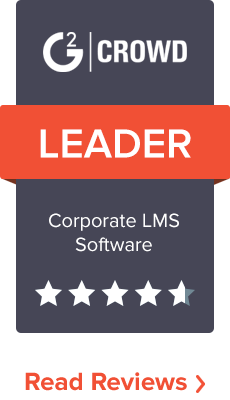 This month we’ve added features to help Learners find and manage training events. 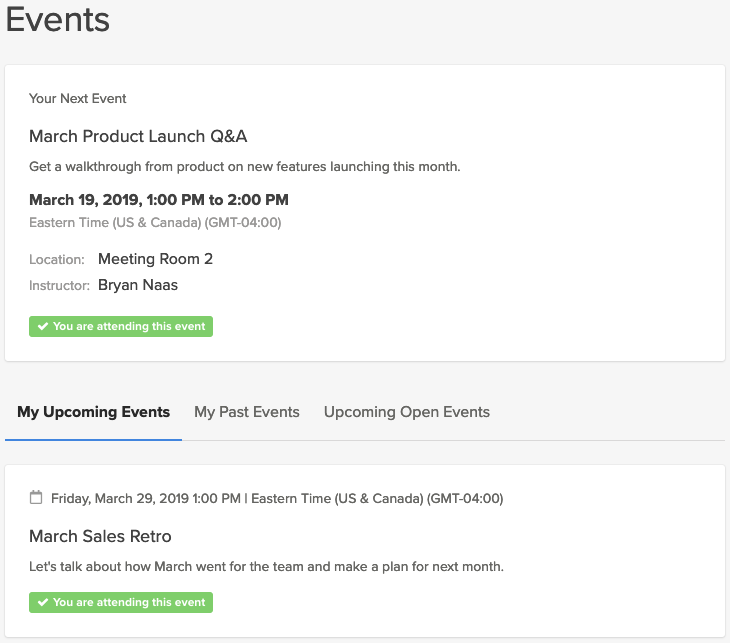 The new event dashboard in Lessonly gives learners visibility into upcoming training events. Learners can now register for events via a direct shareable link, an email invite from Lessonly, or by finding an open event published to the event dashboard. Learners can also add an event to their Google, iCal, or Outlook calendar for easy scheduling. Like many Lessonly features, these were designed to make training as easy and intuitive as possible. With media recording in Lessonly, Creators can now create audio and video content more easily than ever before. Webcam recordings, screen recording videos, and audio content can all be created directly in the lesson builder and inserted into a lesson with just a few clicks. 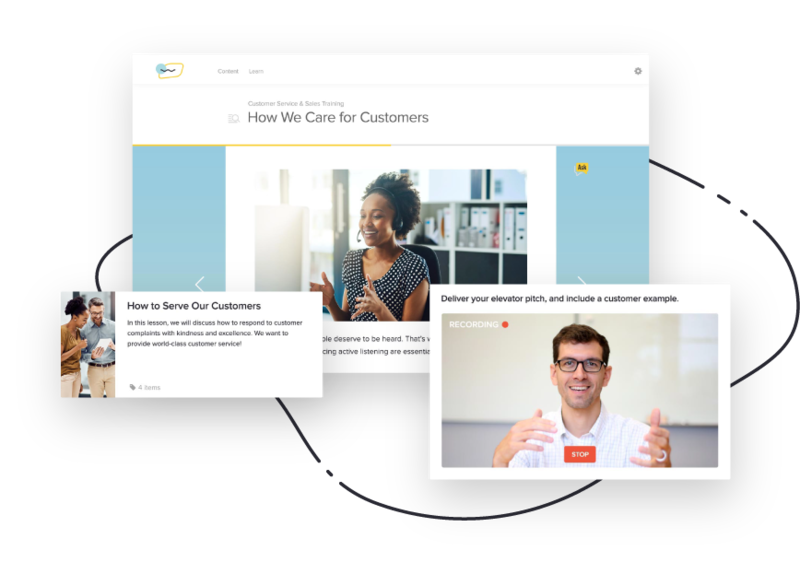 We’re already seeing customers use these features to quickly and easily create interactive content showing pitch examples, product demo walkthroughs, process changes, and more. That’s it for March—we’ll be back with more in the coming months! In the meantime, if you’re interested in learning more about these new features or how Lessonly can help your team Do Better Work, watch a demo today.